High surface definition, high contouring accuracy of the finished workpiece, and short machining times - these requirements can be met only with digital drive concepts. For integrated drive control, HEIDENHAIN offers the iTNC 530. Either compact or modular inverters are available, depending on the type of machine. The compact inverters contain the power stage for up to 3 axes or 4 axes plus spindle with spindle power ratings up to 15 kW. With modular inverters, various power modules are available for axes and spindles, and power supply units with 22 kW to 55 kW. Modular inverters are designed for machines with up to 13 axes plus spindle with a spindle power rating up to 35 kW. 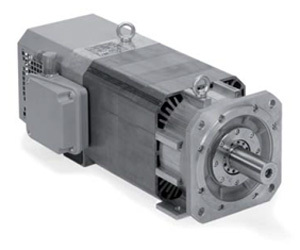 Feed motors of 0.4 Nm to 62.5 Nm and spindle motors of 5.5 kW to 40 kW are available for connection to HEIDENHAIN inverters. 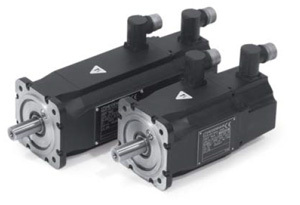 HEIDENHAIN asynchronous motors are equipped with maintenance-free bearings. The shaft bearing on motors with stub shaft is optionally available as either standard bearing or as spindle bearing. The version with spindle bearing can withstand greater radial forces and allows higher spindle speeds. Motors with spindle bearings have a slightly larger overall length. The hollow-shaft motors always have spindle bearings.